THE DAY WAS PERFECT- sunny Sunday in Mexico City, just a few clouds in the sky, 65°F, an “ATP level” stadium with more than 400 spectators cheering each point, and the first ATP Grade A singles final for Sebastian Korda which… he lost. Losing the singles final of the Abierto Juvenil Mexicano was what made today and this weekend ALMOST perfect for the favorite and No. 1 seed, Korda. Yesterday, partnering Colombian Nicolás Mejía, they won the doubles titles by defeating fellow Americans Andrew Fenty and William Woodall in consecutive sets, but today, he surprisingly lost the final against Drew Baird 7-6 3-6 6-0. For Sebastian Korda, the 360 points he is awarded with both the doubles title and the singles final means that he will not only jump in the ITF junior ranking to TOP 10, but also become the best ranked 18 and under American. Following his dad’s steps– he is the son of the czech player Petr Korda, who reached his best ranking as ATP No. 2 and won the Australian Open in 1998– Sebastian says that his last year as a junior player (he turns 18 in july), he will still play junior tournaments and some Challengers and Futures also. 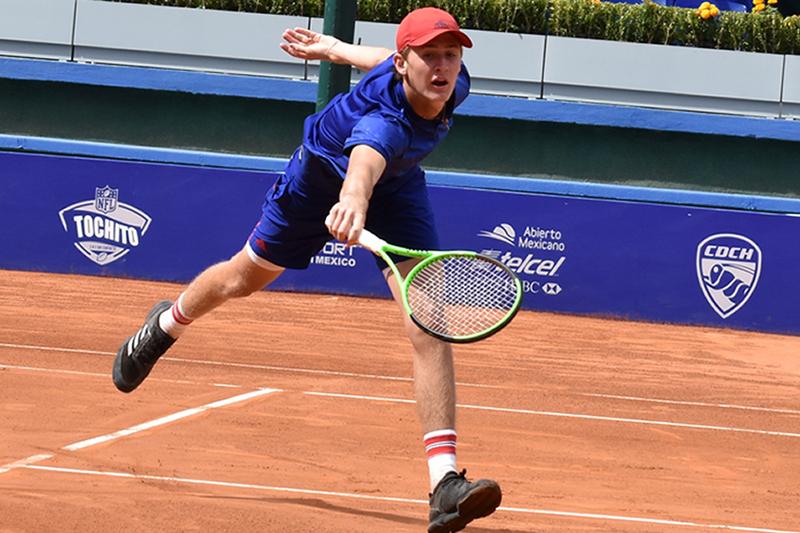 At the Abierto Juvenil Mexicano, Sebastian demonstrated that his famous last name is no longer a burden, but an asset, and answering the question of whether he sees himself eventually surpassing his father’s deeds, Korda with a naughty smile, says that he will, in time. CONGRATULATIONS TO THE DOUBLES WINNER AND SINGLES FINALIST OF THE ABIERTO JUVENIL MEXICANO 2017: SEBASTIAN KORDA!